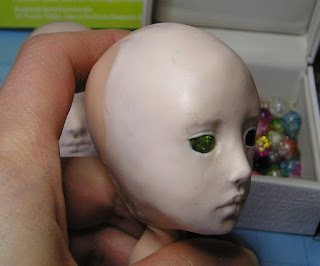 She is waiting for her wig. I will upload more pictures of her later, maybe next week, I would like to give her a beautiful hair! She is 13 inches tall and has double jointed hips, so can do more positions, I as well have the single jointed hips for this prototype. I think her face is beautiful and very sweet, I really like the effect of sculpting with beads for her eyes, it makes the eyes look more life like. 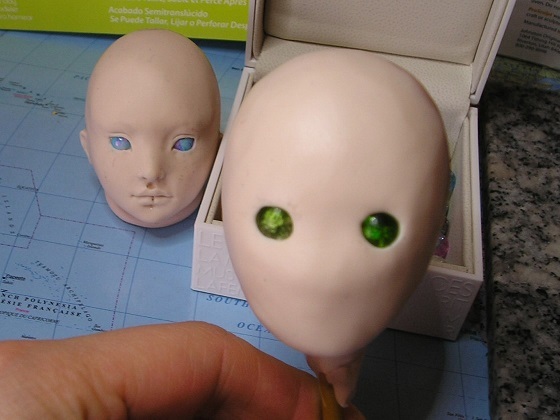 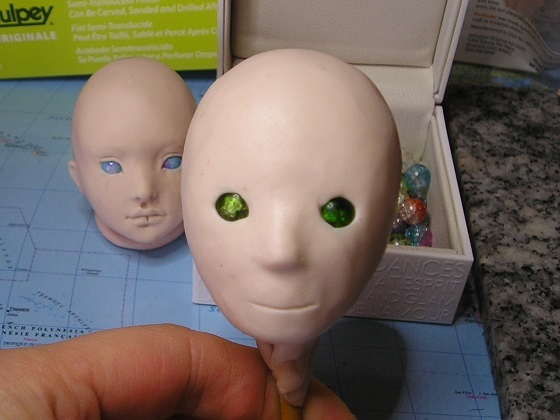 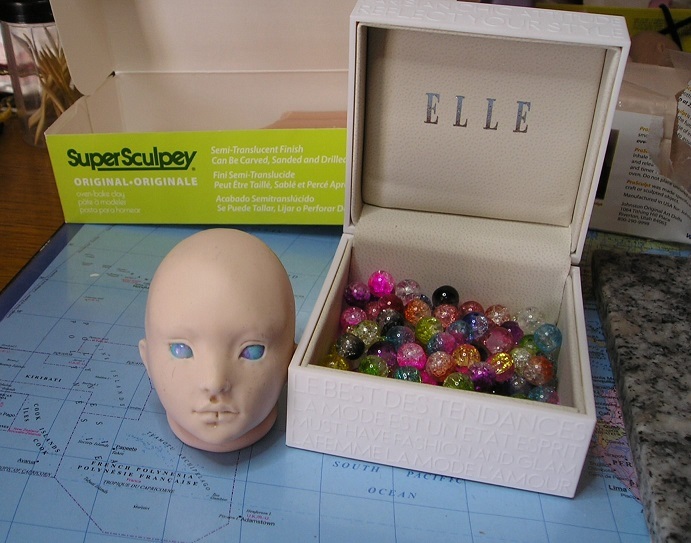 Sculpting head with glass beads eyes. 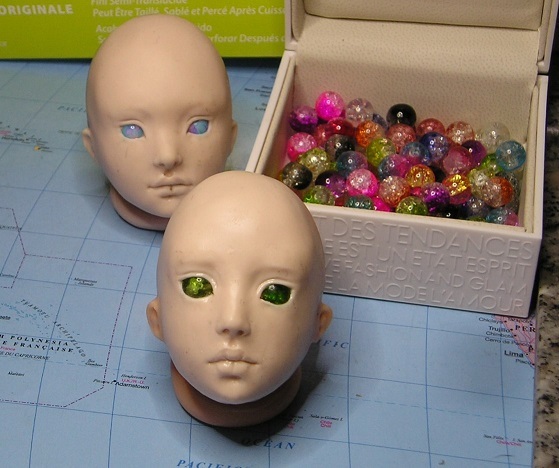 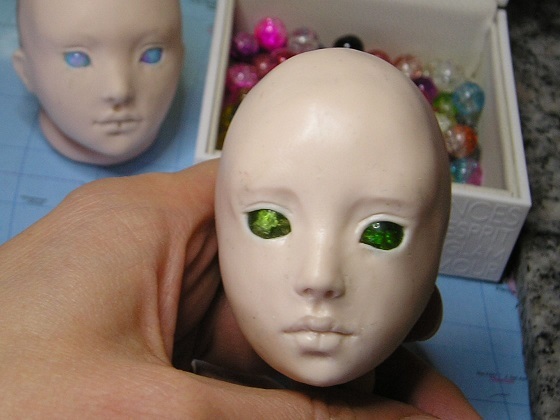 Was taking some pictures as I was working on my new head, I used glass beads for the eyes, they are 8mm cracked glass beads and have an amazing color. 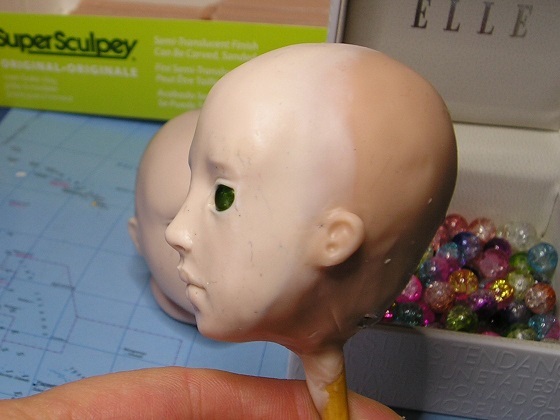 This is the head for my new model girl, she will be about 12.5 inches in size and I will show the first results already within a few days. 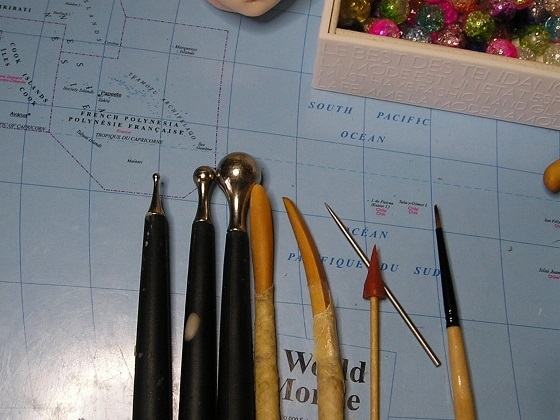 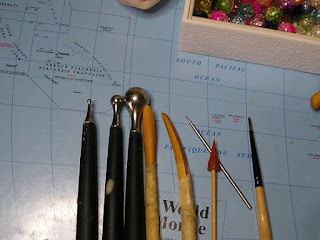 The tools I am using for sculpting. %) not very pretty yet, but two holes like that are necessary for inserting my beads. 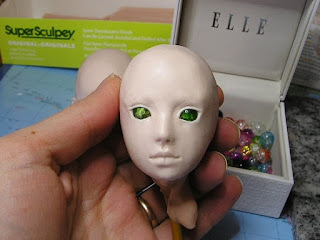 Starting to look like something :)....alien? 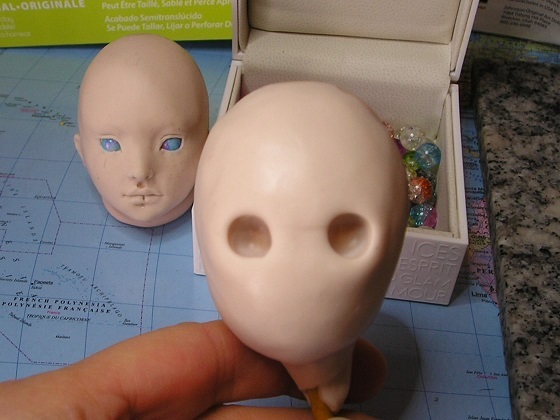 ..... little smile and nose shape, not bad. 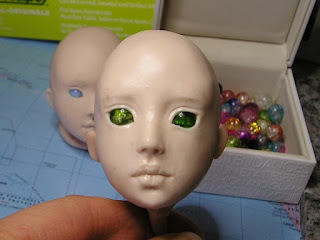 Got carried away and forgot to snap a shot, now her lips are there and eyes took shape. 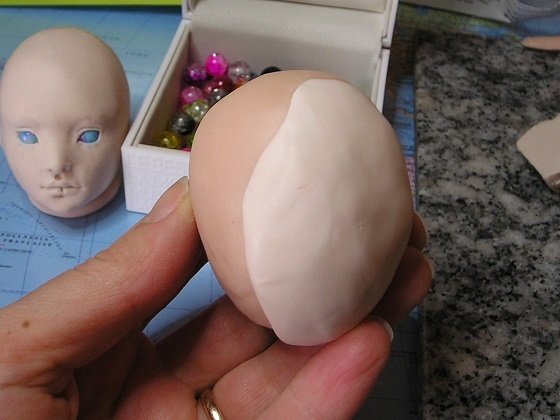 All done, now she needs to bake and only will be left to mold her. 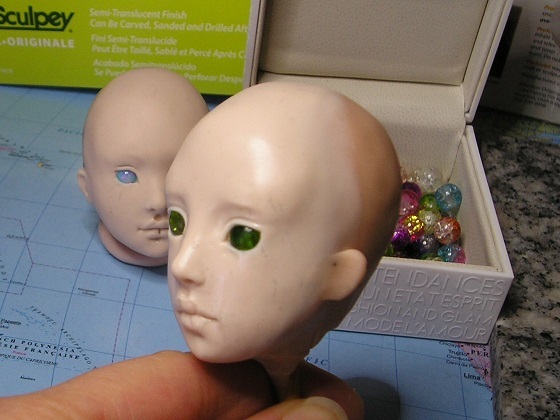 The girl in the back will be my next doll, in fact she is baking right now in my kiln to her final porcelain stage. I can't wait to present her to you.